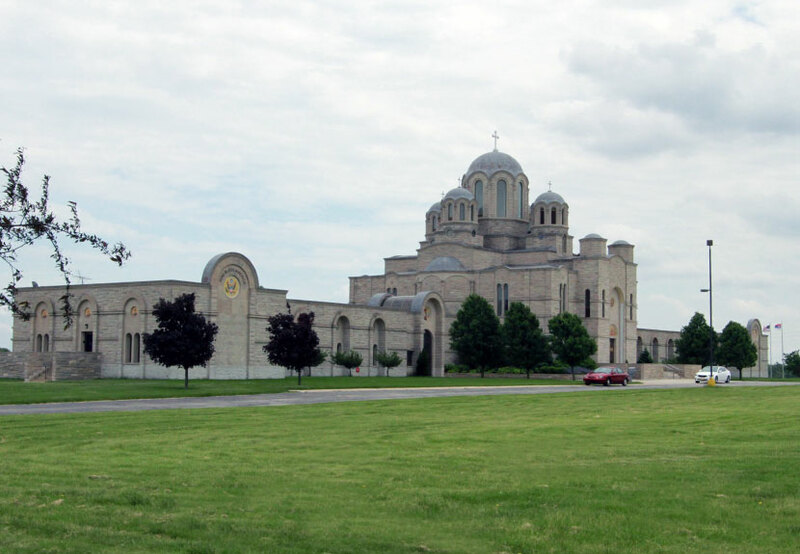 Join us at St. Sava Serbian Orthodox Church for the Divine Liturgy of Saint Basil the Great – Thursday, Jan. 14 beginning at 9:00 a.m. The Divine Liturgy of St. Basil is used ten specific times per year and differs from the Divine Liturgy of St. John Chrysostom which has become the standard liturgy used in the Orthodox Church. One of these special times each year where the Divine Liturgy of St. Basil is used falls on the feast day of St. Basil which takes place on the first of January on the traditional Julian Calendar used by the Serbian Orthodox Church (January 1 of the Julian Calendar falls on January 14 of the Gregorian Calendar). An icon of Saint Basil the Great (AD 330-379) can be found at St. Sava Church in Merrillville, Indiana, in the recess of the altar east wall, south side. Like Saint John Chrysostom, Saint Basil was an early church Father. He established Nicean Orthodoxy over Arianism in the Byzantine east. His liturgical works are celebrated in the easter and western churches. Basil was born during the reign of Emperor Constantine. While still unbaptized, he spent fifteen years in Athens, where he studied philosophy, rhetoric, astronomy and all other secular sciences of that time. His colleagues there were Gregory the Theologian and Julian, later the apostate emperor. In his mature years he was baptized in the Jordan River along with Ebulios his former teacher. He was Bishop of Caesarea in Cappadocia for almost ten years and completed his earthly life fifty years after his birth. He was a great defender of Orthodoxy, a great light of moral purity, a religious zealot, a great theological mind, a great builder and pillar of the Church of God. Basil fully deserved the title “Great.” In liturgical services he is referred to as the “bee of the Church of Christ, which brings honey to the faithful and with its stinger pricks the heretics.” Numerous works of this Father of the Church are preserved; they include theological, apologetical, ascetical and canonical writings, as well as the Holy and Divine Liturgy named after him. This Divine Liturgy is celebrated ten times during the year: on the First of January, his feast day; on the eve of the Nativity of our Lord; on the eve of the Theophany of our Lord; all Sundays of Great Lent except Palm Sunday; on Great and Holy Thursday; and on Great and Holy Saturday. St. Basil reposed peacefully on January 1, 379 A.D., and entered into the Kingdom of Christ.